bool(false) Ender goes on vacation! As some of you found out yesterday, I have recently arrived in Hawaii where I will be for the next two weeks. Because of this, I will not be able to be on the server as much as I would like to. In light of this, I am going to need someone to step up and take my place when I'm not there to keep things running smoothly. 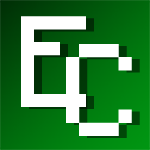 In order to keep Econicraft on track for its release in early July, I hereby promote Daddy_pika (Jake) to the rank of owner. To take his place as admin, I promote Pikachuprincess to the rank of admin for her outstanding work as a builder and the assistance she has provided to countless players. She will be filling the last administrative spot. Jake, please get these two ranks changed and I will see some of you tonight. This is the home stretch guys so we really need all hands on deck. Re: Ender goes on vacation! W-wha? Me? ;~; DAMN IT JOHN. I'M CRY NOW. YOU'RE TOO PRECIOUS. YOU ADORABLE PRECIOUS LITTLE SQUISHY THING.